Yi Mei Ren is a large leaf tea, so it is important to use a large quantity of this leaf in order to be using the proper weight of leaf. Remember, the larger the leaf the MORE one needs to use to obtain a proper weight. Re-steeping is necessary, so be sure to add more freshly-boiled, but then cooled water, several times to coax all the wonderful flavor out of these beautiful and complex leaves. This leaf is rich in amino acids, so if you use this tea for making iced tea it will cloud heavily when cool. Conversely, hong cha teas of Yunnan Province are called dian hong instead. Dian is an old historical name for parts of today’s Yunnan Province, so dian hong is still how Yunnan black tea are referred to. Some say that dian hong should just refer to the modern-style plantation style teas and not the forest teas made from indigenous varieties of old tea bush varietals. We, on the other hand, generally use the term dian hong to mean the opposite. Yunnan has such a long history of producing both Pu-erh and dian hong that we think dian hong should be reserved for tea in the historical since – the traditional, small village teas made from forest gathered leaf materials. 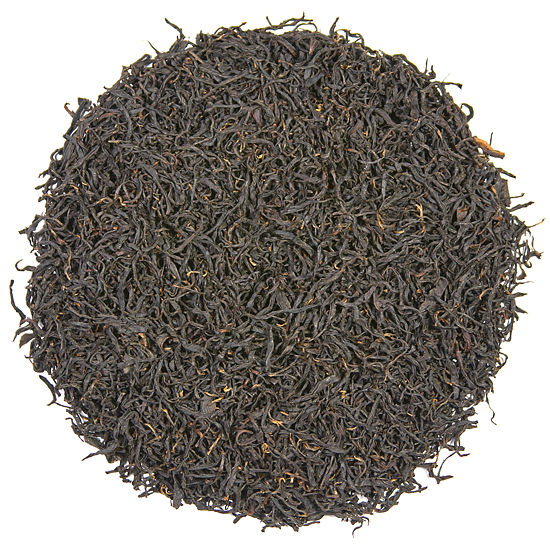 If you enjoy a China tea bush varietal black tea that has elements of oolong style and a brisk, spicy finish, this tea is for you. 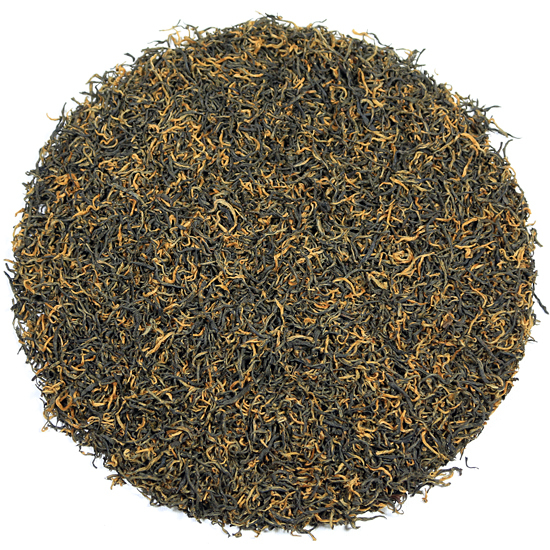 One of the most unusual black teas in our current repertoire, this is for the enthusiast who wants to experience what tea artisans are experimenting with in one of the homelands of premium tea – Yunnan Province, China. Wuliang Shan in Jingdong County, where this tea is from, is a famous tea area in southwestern China. Heritage sub-varietal tea bushes thrive in remote tea gardens. Carefully-tended by the Yi minority people who live on this mountain and in the surrounding region, this leaf is quite precious, and they take great pride in maintaining their traditional tea plantings so that this and other unique teas can continue to be manufactured. Yi Mei Ren is made with sub-varieties of Yunnan leaf that are larger in size than the tea bushes planted in modern tea gardens– similar to the leaf used for Pu-erh or that would be used for oolong if there was a history of oolong manufacture in this region. By incorporating some of the techniques used for oolong manufacture (such as the rattling steps between oxidation stages), the leaf takes on a distinct style of oxidation that is slightly different than classic black tea oxidation. This fabrication technique brings out the Rou Gui-style flavor components of cinnamon, dry cocoa, and spice. 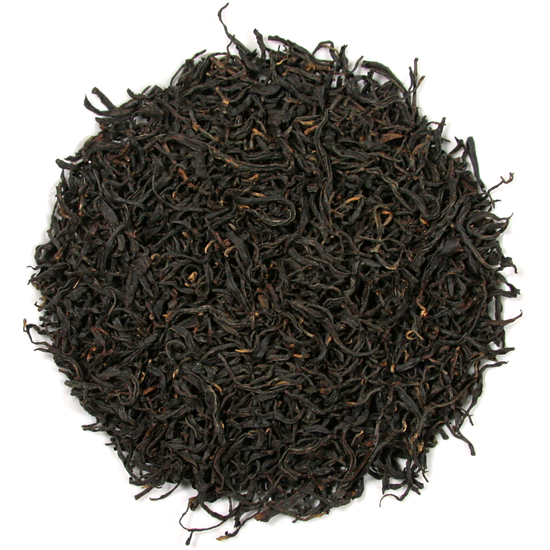 We love the the big, well-rounded, character of this tea, with its slightly sweet flavor that hints of dates and chocolate. It has body and absolutely no astringency, a winning combination for those who drink their tea plain. The color of the liquor is distinctly golden-amber in color with a lovely, gem-like clarity. As we re-steeped this tea, we detected a delicate hint of mint in the aroma of the leaf. If you are enthusiastic about aged tea (black, oolong or Pu-erh) then you would be wise to purchase a quantity of this leaf and put it aside to develop for several years or more. It will be an investment that you will enjoy drinking later.